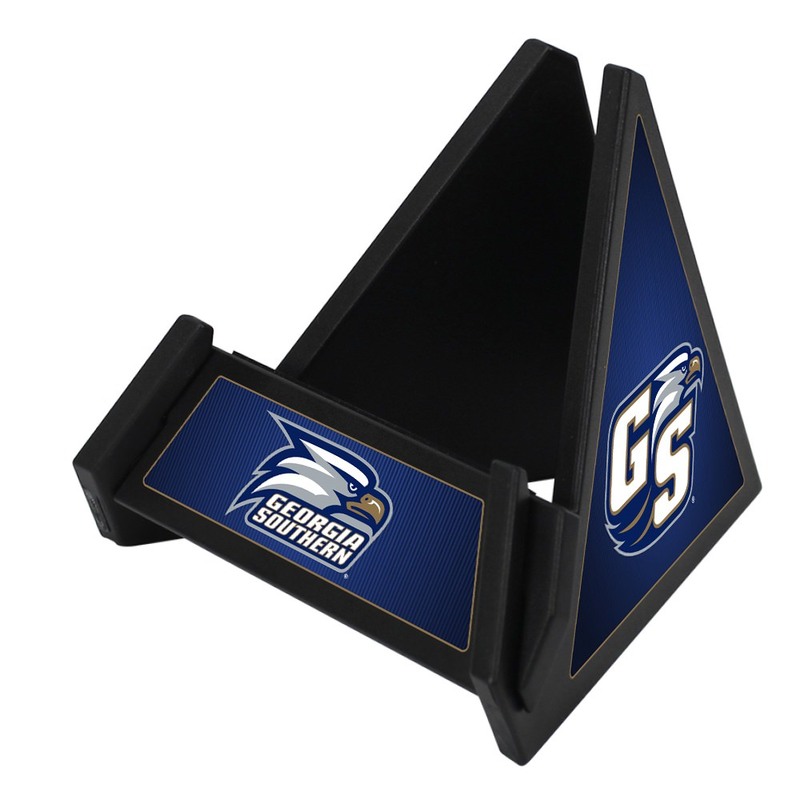 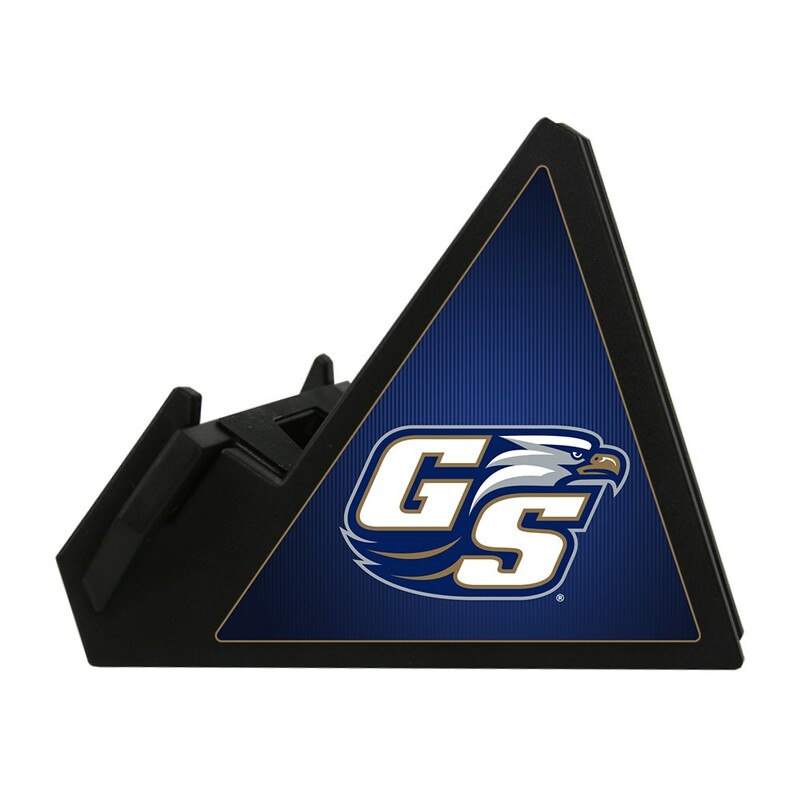 Show Team Pride at home or at the office with the Georgia Southern Eagles Pyramid Phone & Tablet Stand by Guard Dog®. 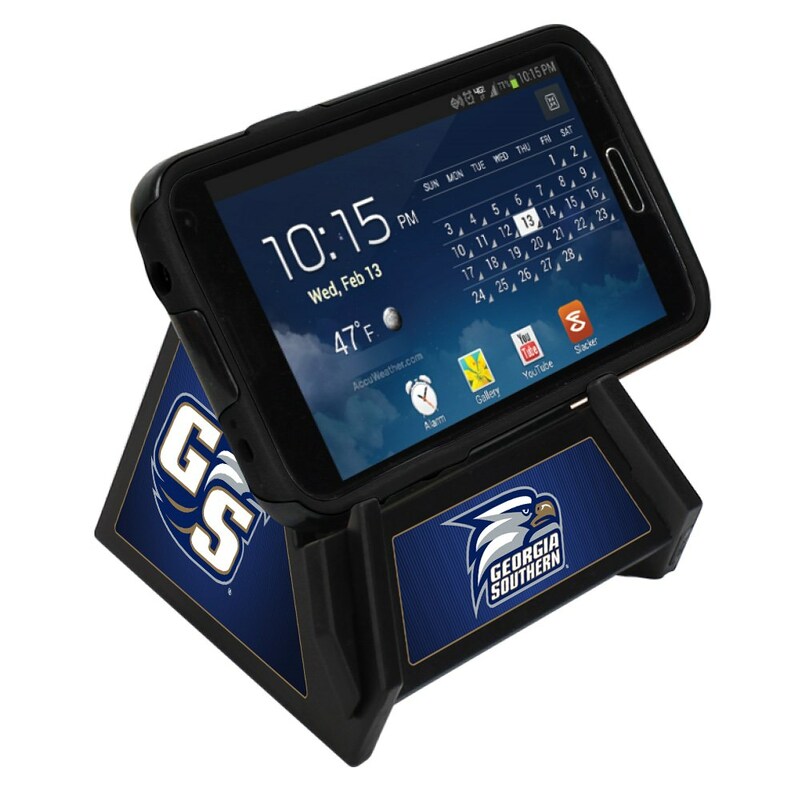 An excellent way to watch videos, have Facetime chats, audio conferences, or charge your phone while showing off your team's colors! 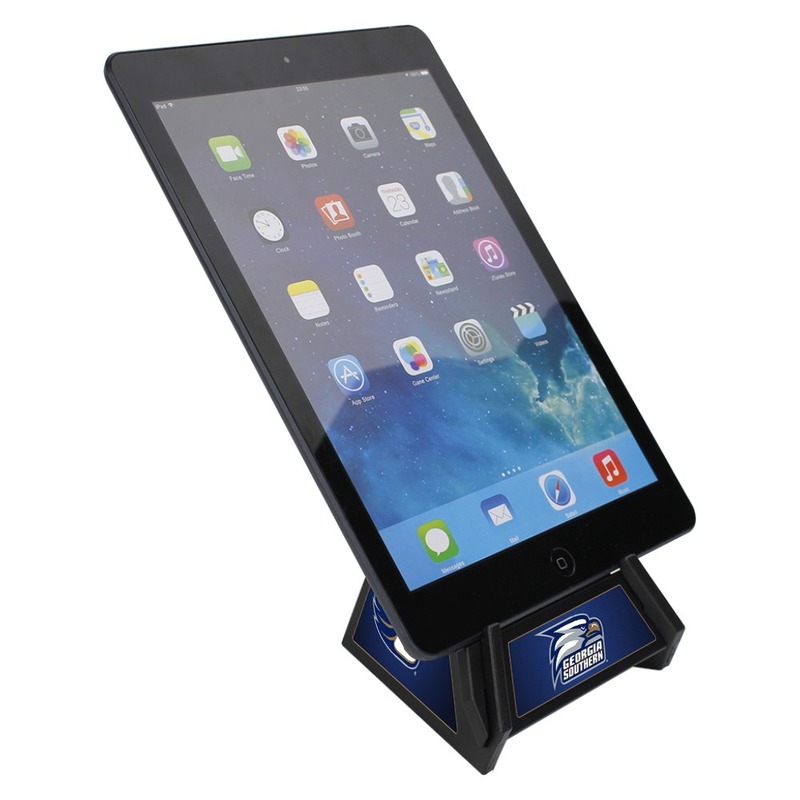 It supports a variety of devices in landscape or portrait mode and has open access for charging cables. 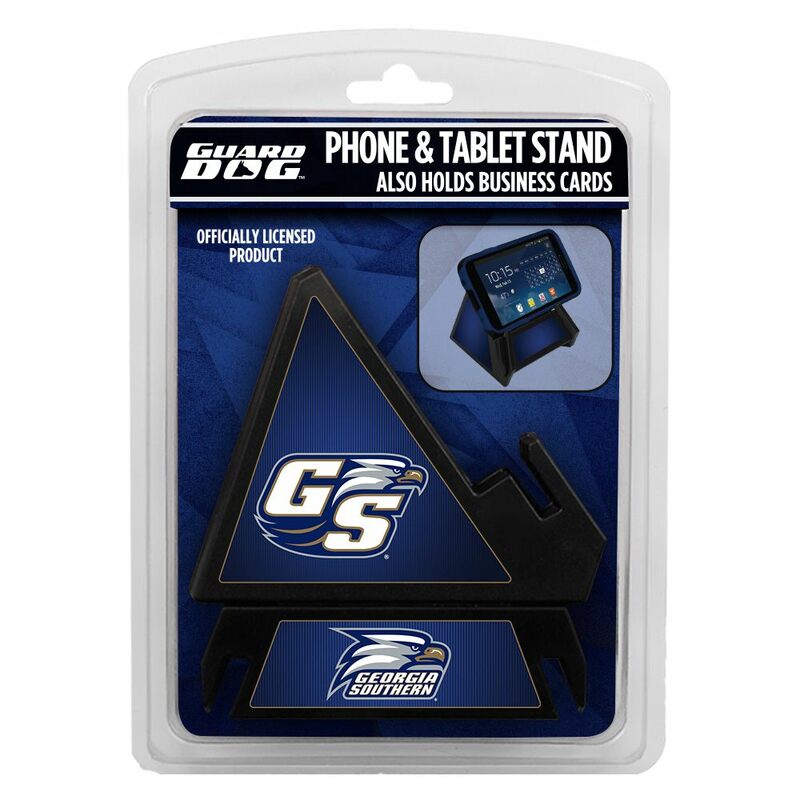 Rubber grips on the arms prevent your phone or tablet from sliding, and rubber grips on the base prevent surface sliding.The Pyramid stand by Guard Dog® is the perfect complement to any work space!